For the past three years my family has been on a quest to live healthier. At the height of our lifestyle change, we started to take a more active approach toward learning about how to nourish our bodies, healthy cleaning and personal products, and natural remedies. We had no idea how to begin revamping our lives but we knew our well-being depended on making better choices. What started as a desire to live healthier has transformed into our natural living journey. Lifestyle changes are overwhelming. There’s so much information out there. It can be confusing to decipher what research is accurate. Honestly, it can even get scary once you’re aware of all the toxins we consume! When anxiety kicks in, It’s best to take a deep breath and make a plan. Mindset: The success of any lifestyle change begins with your mindset. It’s key to maintain a positive attitude and to be committed to your process. Also, allow yourself to be open to new ways of thinking and living. Change is good. Embrace it. Knowledge: Read as much as you can. Gather your information and organize it. Then break it down and make an educated decision about which lessons you will adopt. Remember, everything published on the internet isn’t necessarily true. Try to seek reliable sources that provide evidence-based research. Start Small: Change doesn’t happen overnight. It takes time. Be patient and pick one thing at a time to tackle. For example, you may find it doable to make your own bath and body products while for another person it’s easier to eat organic produce. Natural living isn’t one size fits all. Do what works for you. Are you looking for a place to begin gathering information? The blog Wellness Mama is a great place to start. The articles in this blog are easy to understand and lots of topics are covered. While the blog targets families, it’s really for anyone desiring to live a healthier life. Check it out and let me know what you think. 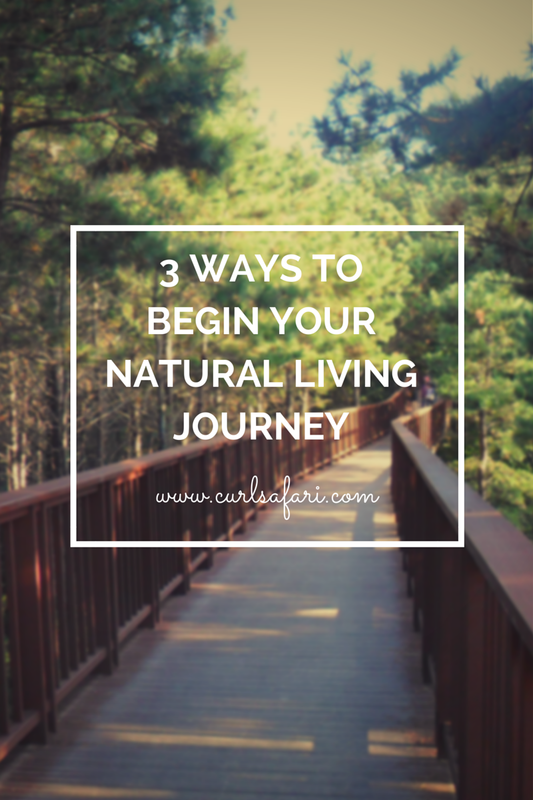 If you’re already on your natural living journey how did you begin? What advice would you offer someone just starting out? This entry was posted in Natural Living and tagged change, healthy, healthy-living, lifestyle, natural living, organic, wellness on April 28, 2015 by Kelly Goins. This entry was posted in Uncategorized and tagged blog, business, creative business, motherhood, natural living on September 5, 2014 by Kelly Goins. Thanks for visiting my personal lifestyle blog. I share my journey of natural living, creative business, & motherhood all while striving to live a happy + independent life. Thanks for journeying with me :-).